Both Friday and Saturday evenings looked to be good for star gazing. 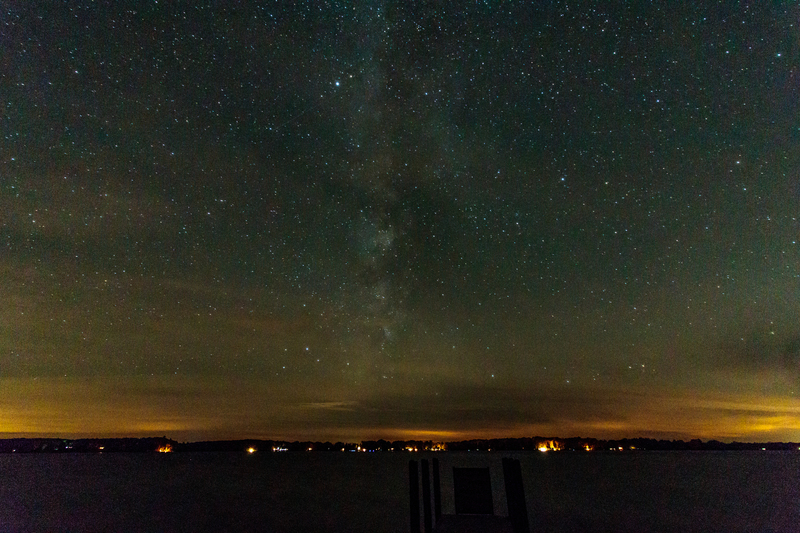 I headed over to the Green Lake boat launch to see the sunset and, hopefully, the Milky Way. It was well after dark Friday before I got over there, so missed the sunset. However, the stars were very nice. You can just make out the milky way in the center of the image. Still, there is a lot of light pollution, even when looking away from Traverse City. I did manage to catch the sunset on Saturday evening. It wasn’t spectacular, but was nice. What a great way to end a wonderful day! 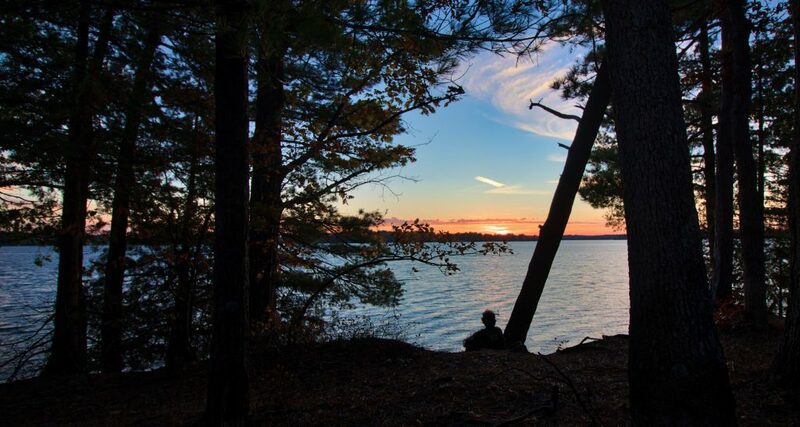 This entry was posted in Northwest Michigan and tagged Green Lake, Sunset. Love the one of Rose watching the sunset! Prize winner.